I’ve also been doing edits for my publisher for Paper Wishes. I haven’t gone back to think about Henry at all, and it will probably be a little while before I get there. But in the mean time, here is the next page from Optimal Red. As a refresher, Henry just left his house to go meet his soon to be wife. His Mom prods him to make sure the new Misses gets pregnant tonight. As Henry walks, he remembers his recently deceased father. Here’s the next page! Henry reluctantly placed his hand on the panel. Before today, he’d been considered a minor, and one of his parents would have given their identification. He’d never placed his own palm on one of the devices. A tone sounded, and he drew his fingers back. “Happy birthday, Sir,” The woman said. “One moment please, and I will fetch a lift to Sigma Central.” Her fingers tapped gracefully across her console. The large silver doors behind her split apart, revealing a small square room encased in silver and glass, not much larger than a lavatory. His footsteps created an echo as he strode inside. Trepidation fluttered within Henry’s chest as the doors closed behind him. What would happen? Would the walls move? Should he touch one of the buttons? The floor seemed to fall out from beneath him. He cried out as he grabbed the wall with one hand, the other reaching for his stomach as is muscles bottomed out. He whirled in the car, and jumped away from the glass window as he passed down through an open area of tall trees and plants. The room expanded beyond his field of vision, and then disappeared as he fell into another cement expanse. Note: Those who have not been participating have been removed to save on critiquer’s “click” time. 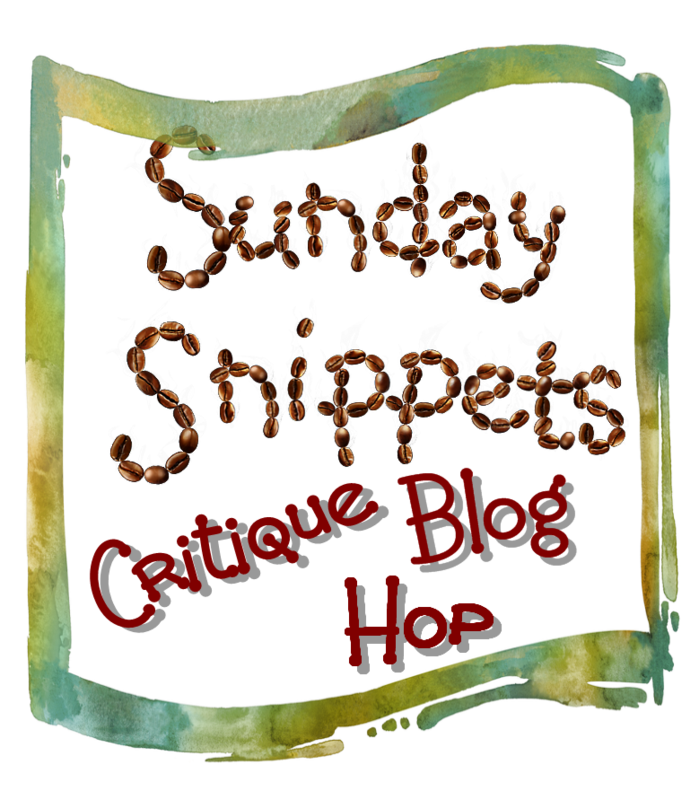 This entry was posted in Critique Blog Hop and tagged critique, Hosts, Publishers, Sunday Snippets Critique Blog Hop, Templates, WordPress. Bookmark the permalink. My stomach muscles bottomed out too as I read this. HOW LARGE IS A LAVATORY TO support this statement? How does the reader know? I wonder about the echo. Is the room large or smallish? Why the echo? In the last paragraph, is it necessary to say he ‘passed DOWN through’? We know the floor shot downwards and that’s where he’s headed: down. Anyway, I’m itching to know what happens when he arrives. Ha! You are right! I overlooked that so many times! Thanks. You know, I really have not gone in-depth into the query process despite having done it quite a few times, now. Let me think that over. Nice description and building tension. It’s going to be awhile before this poor guy catches a break! He’s getting some scary first time experiences, I love how he thinks about the lift, and what he’s supposed to do. Once he gets in the elevator, though, I’m having a bit of a hard time picturing what’s happening. I thought he was facing the door of a glass-walled elevator. But “window” makes me think of a smaller opening, which he wouldn’t see if he was facing the door, braced against a side wall, with the window at his back. Thanks. I was wondering if this is clear or not. I don’t want to over-describe because we are in his POV and it goes by very quickly. I guess I’ll need to polish this up a bit. Nice snippet! It captures the cityscape, but at the same time the way events are moving a little too fast for Our Hero. Everything feels out of his control, and you can see how that affects him. Hi Jennifer. I enjoyed this and only see one small typo. In the first sentnce of the last paragraph you seem to be missing an “H” from his: “for his stomach as is muscles bottomed”. I would love to know more about the query process if you have any blog posts in your archives about the subject.